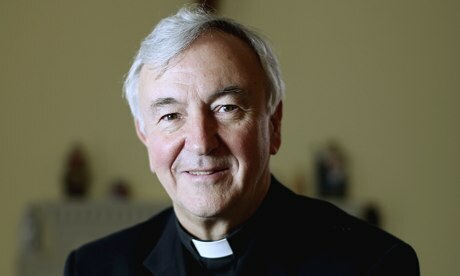 The news that Archbishop Vincent Nichols of Westminster is one of just two diocesan bishops in Europe to be made a cardinal next month has been interpreted, rightly, as a proof of the Pope’s confidence in him, already demonstrated by his being named to the vital Vatican department that appoints bishops. But while bestowing red hats is a papal prerogative, one that allows him, indirectly, to shape the future of the Church, making cardinals is not some kind of medieval patronage ritual, that shows who is in and who is out with the reigning monarch. It is about ensuring, especially since the Second Vatican Council, that the universal governance of the Church properly reflects its local governance. This is even more true now, because Francis is planning to expand the role of the College of Cardinals, so that it exists not just to elect new popes but also to improve the channels of communication between Rome and the dioceses. This was a specific request of the cardinals in the pre-conclave meetings in February last year, and Francis has listened: prior to the Consistory (the Mass at which red hats are bestowed) on 22 February, the Pope is holding a two-day meeting with the whole College to discuss matters of universal import to the Church. 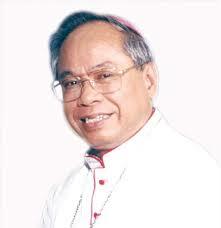 Cardinal-designate Orlando B. Quevedo, O.M.I., of Cotabato (Philippines). What do the 19 appointments — 16 cardinal electors, i.e. below the age of 80, and therefore with right to vote in a conclave — otherwise tell us? Three things stand out, which are likely to suggest how Francis wants to shape the future of the College, and indirectly, the Church. 1. Increase the voice of poor countries. Many of the sees whose bishops will receive red hats have not traditionally had cardinals, places such as Managua (Nicaragua), Abidjan (Ivory Coast), Seoul (Korea) and Les Cayes (Haiti) — the last one being a particular surprise, as he is a bishop, rather than an archbishop. 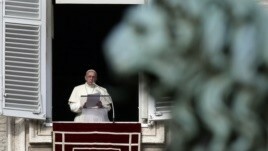 These choices reflect Francis’ desire for a ‘poor Church, for the poor’. When he was Jesuit provincial and later archbishop, Jorge Bergoglio would often cite a letter from the former Jesuit General Pedro Arrupe that you cannot talk about the poor if you don’t know the poor. This way, Rome gets direct contact with some of the most deprived places in the planet: nowhere is poorer than Haiti. 2. Move to correct the Eurocentric imbalance in the College. Although John Paul II significantly internationalised the College, it has continued to be dominated by Europeans and the wealthy world in general, even though most Catholics are now in the poor south (of the 1.2 billion Catholics in the world today, two-thirds live in the southern hemisphere, expected to rise to three-quarters by mid-century.) With the exception of Cardinals-designate Nichols and Gualtiero Bassetti of Perugia, no European or US bishops were made cardinals, while Francis appointed two new cardinals for two of the largest Catholic countries by population — Orani João Tempesta of Rio de Janeiro in Brazil, and Orlando Quevedo Cotabato in the Philippines. Overall Latin America, where 40 per cent of the world’s Catholics live, gets five (Buenos Aires, Managua, Santiago de Chile, Rio de Janeiro and Les Cayes, Haiti), Africa two (Ivory Coast and Burkina Faso), Asia two (Seoul, Cotobato) and Canada one (Quebec). But this is the beginning of a process: even with the new red hats, Latin America will still only have 16 per cent of the College; under John Paul II, it had 18-20 per cent. 3. 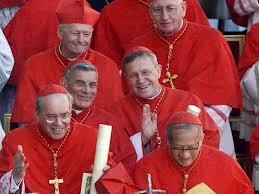 Move to reduce the number of curial cardinals. One of the strongest predictions of this consistory was that Francis would seek to reduce the excessive curial component in the College by not giving red hats to Vatican councils, only congregations (councils are advisory, whereas congregations have legislative authority), which would also reflect his desire to instil in the Curia a greater culture of service. In fact, Francis has left the curial percentage unchanged, because there were four heads of congregations, three of which are his appointments, which needed red hats: the secretary of state, Pietro Parolin; the secretary-general of the Synod of Bishops, Lorenzo Baldisseri; and Beniamino Stella, head of the Congregation for Clergy. But, as predicted, no heads of councils were given red hats, and if Francis sticks with this policy, it will lead over time to the curial component shrinking. 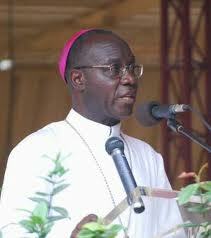 Cardinal-designate Jean-Pierre Kutwa, Archbishop of Abidjan (Ivory Coast). Overall, therefore, this consistory shows Francis moving decisively but cautiously in these three directions. He is likely to have between two and four more opportunities to create cardinals, depending on the longevity of his pontificate, and therefore has time to continue to reshape it in these three directions. The Pope has adhered to the rule of 120 Cardinals under 80 years of age who will be eligible to vote in a papal election. 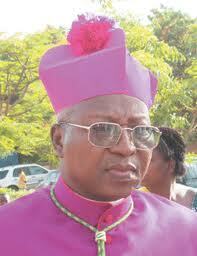 Currently there were 13 seats “vacant”; 3 others will be “vacant” by the end of May, so the Pope has chosen 16 electors. Of the 16 eligible to vote, 4 are members of the Curia (i.e., ¼ of the total) and 12 are residential archbishops or bishops, all from different countries. The distribution of electors who are residential prelates is well distributed among the different continents: Two from Europe, two from North and Central America, three from South America, two from Africa, and two from Asia. 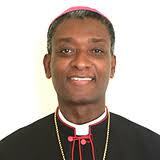 The choice of Cardinals of Burkina Faso and Haiti shows concern for people struck by poverty. Two residential prelates were chosen from places not traditionally considered Cardinalatial Sees (namely, Perugia in Italy, and Cotabato on the island of Mindanao in the Philippines). Among the Cardinals who are not electors, one should notice Archbishop Capovilla, the secretary of Pope John XXIII (who will soon be canonized during the 50th anniversary of the Second Vatican Council). 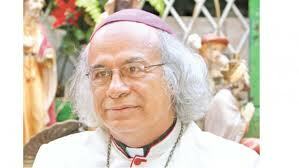 Archbishop Capovilla, aged 98, is the oldest of the Cardinals-elect; the youngest, Bishop Langlois (55 years old). This entry was posted in Uncategorized and tagged Vincent Nichols. Bookmark the permalink.